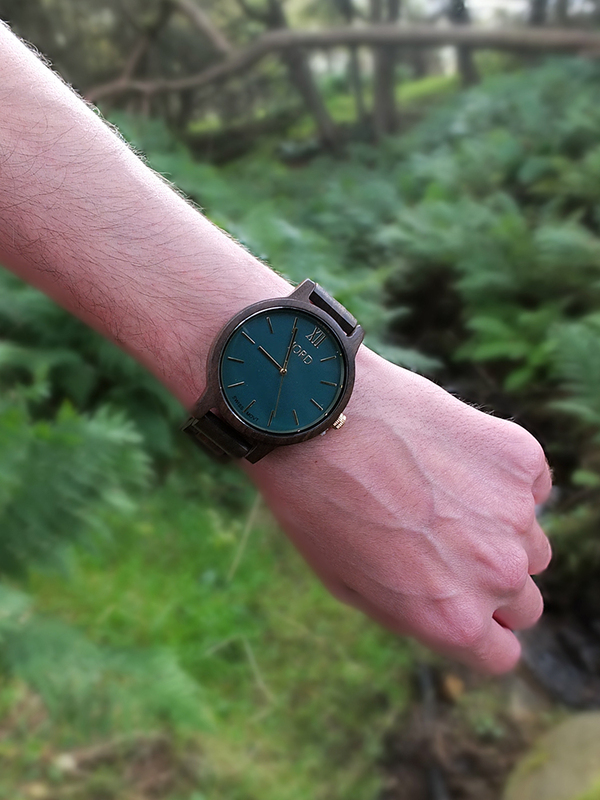 A watch review in collaboration with Jord Wood Watches. I confess that when it comes to fashion and all things clothing and accessories I’m usually not interested. I don’t even wear a watch! I’ll wear the same pair of jeans until they fall to bits and then lament about the whole unpleasant shopping experience of trying to find another pair as comfortable as the old ones. Clothing shopping, to me, is complete torture. I’d rather spend the money on some quality cheese, good wine and olives. The only accessory I wear these days is my simple wedding band. I also have to confess that when images of wooden watches started popping up in my Instagram feed they piqued my curiosity. I have a fondness for clockwork, and wood, and to combine the two in a stylish timepiece, well, this non-fashion follower found herself interested. Not for me, but for my teenage son. 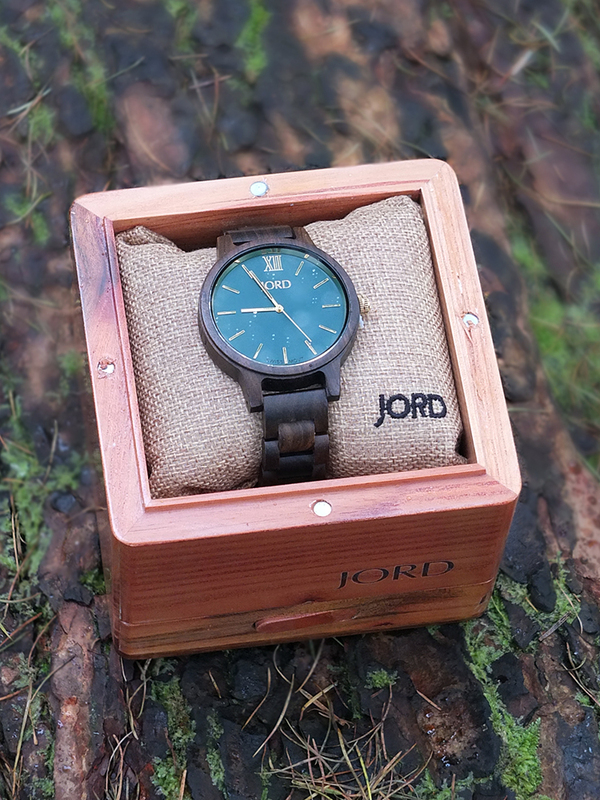 Jord are an American wooden watch company founded in 2013. They produce a wide range of incredibly stylish wooden watches from a variety of materials – bamboo, ebony, maple, rosewood and sandalwood, to name a few. Some watches are battery powered (like the one pictured) and others have a self-winding mechanism. The words Swiss Movt appear on the watch face indicating that the components inside have been at least partially made in Switzerland, while the casing hasn’t (at least that’s how I understand it). Imagine my excitement when Jord contacted me asking if I would like to review one of their watches. As I mentioned, I wear very little in the way of accessories but my teenage son loves wearing watches, and his last watch broke/disappeared/spontaneously combusted (who knows, it’s just gone!) so he’s currently without a timepiece. 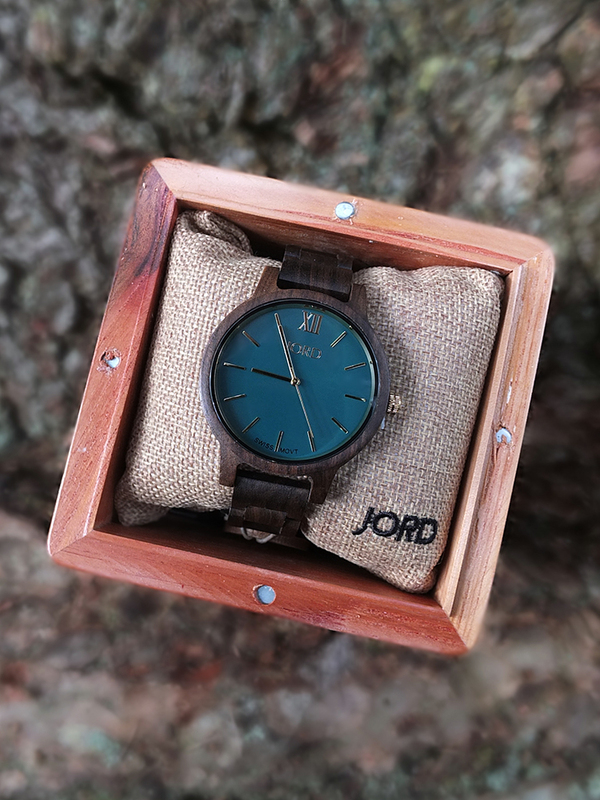 I chose the dark sandalwood and emerald time piece from the Jord Frankie series. That was his Christmas present sorted then! Overseas shipping from America was pretty quick, although living in the UK there is an additional customs charge to pay. The watch arrived well packaged with its own wooden display case. There’s a tiny drawer underneath the main compartment too, which, for a wooden box collector like me, is pretty neat. I’m secretly hoping my son will let me have the box after he’s opened it on Christmas morning! 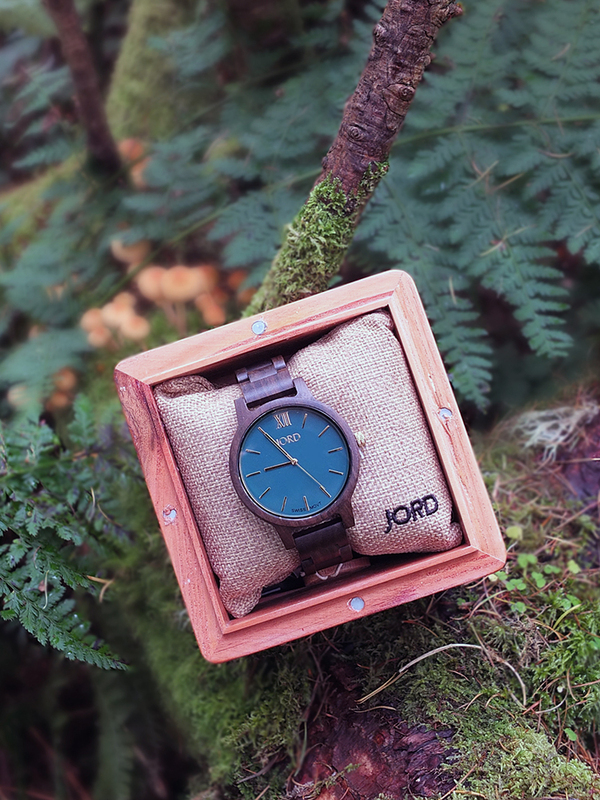 Jord watch faces are protected with Sapphire glass. This is “known in the luxury watch world as the definitive material for transparency and durability”. This is a synthetic crystal second only to diamond for strength and scratch resistance. This means it should, in theory, stand up to treatment by my 16 year old son. 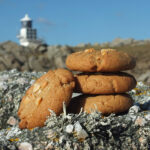 Regular readers will know I live on a tiny windswept island in the middle of the North Sea. There are very few trees. 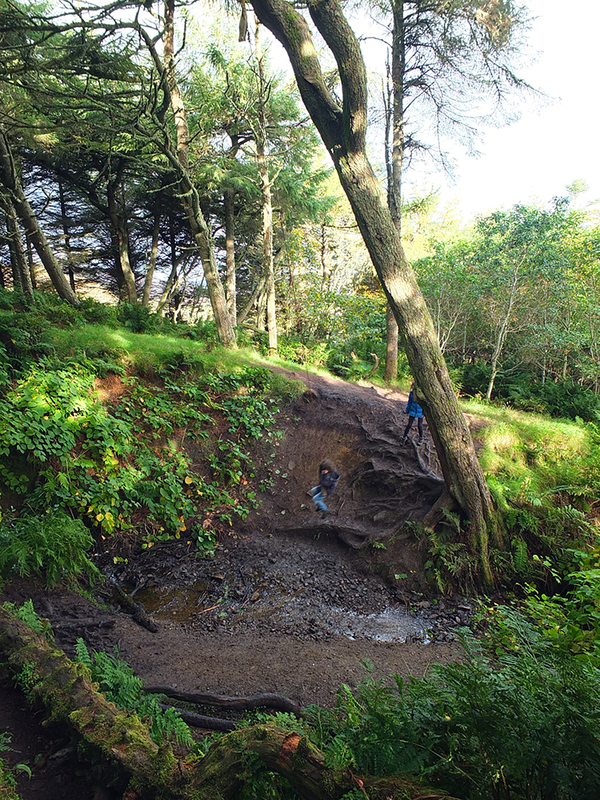 There is one small area of deciduous growth one can almost, for the 10 minutes it takes to walk to the top, feel like you are in the middle of a forest. 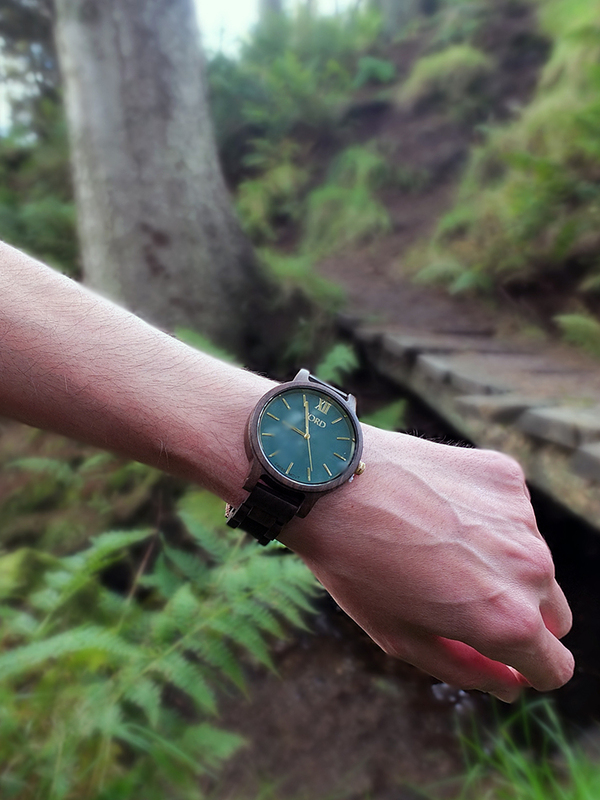 The perfect location to photograph a wooden watch, no? With thanks to my husband for modelling the watch, and my two youngest children for putting up with my wandering around the woods absentmindedly photographing a box with a watch in it. I’m sure the rope swing helped. Now, lets see if we can keep this Christmas gift a secret from my eldest until Christmas morning! 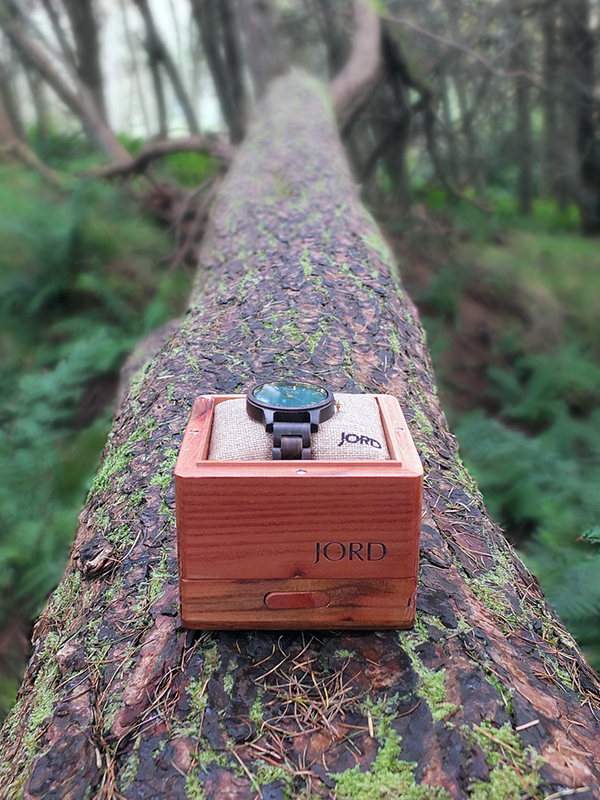 Jord Wood Watches have very kindly offered an exclusive giveaway EKD readers. Simply click here and enter your details to win a $75 off Jord e-gift code. 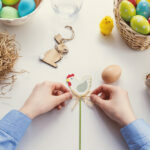 All entrants will receive a $20 e-gift code. The contest will close 11/20 at 11:59pm. 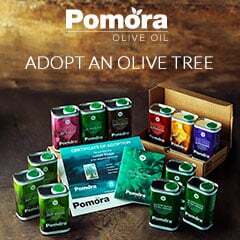 Both the $75 and the $20 codes will expire on 2/28/2017. This Dark Sandalwood and Emerald watch retails for $189 USD (approximately £147 GBP). Jord also produce a wide range of other men’s watches and women’s watches. This post was sponsored by Jord Wood Watches. Thank you for supporting the brands who make it possible for me to do what I love: mess up my kitchen and share recipe stories. This is a lovely watch! I really like the way you’ve photographed it too! What a lovely looking watch and love the natural look! 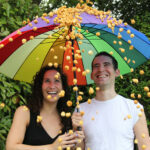 Make a change from all the bling you see on the high street! This is such a unique looking watch, never seen anything like it! such a beautiful watch! Love the emerald colour face. this is beautifully crafted! wooden watches are slowly making their way in. A very cool watch! This is awesome and my husband has just got one for himself too. I am so so excited for him. Such a gorgeous watch, love the beautiful design! I rarely bother to wear a watch these days but this looks perfect for a special occasion. 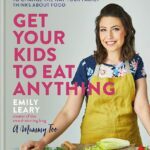 Harriet from Toby & Roo recently posted…Motherhood exhaustion isn’t just sleep deprivation. Hey this looks really nice! I love the color of the face. These Jord watches are so impressive. I’m not a bit fan of watches as I find them very restrictive, but think these look lovely all the same 🙂 what lovely pictures you’ve captured. They have such a vintage look about them, if that makes sense! This wooden watch is quirky but elegant. The colour palette is beautiful. I don’t wear a watch at all, and haven’t been for many years. I love these watches and I have put one on my Christmas list. They are just so natural. 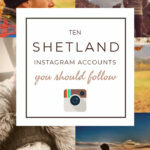 Beautiful photos too. I’ve never heard of wooden watches before but to be truthful I don’t really wear a watch. I love the box it comes in, looks fab! 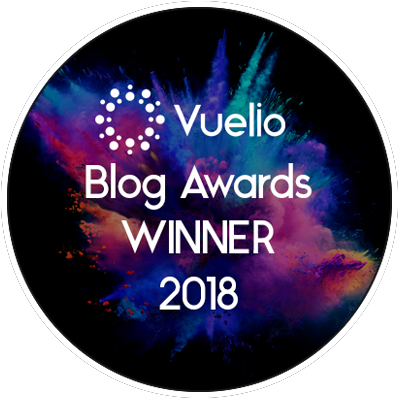 I’m hoping that your son doesn’t read your blog or he’ll know what Santa’s bringing him! Lovely watch and gorgeous photos of it in the wild. This is a lovely watch. I love how sleek it looks. I’ve been seeing these watches around everywhere at the moment. They do look beautiful. How gorgeous are these watches? I love how natural they look… such a great Christmas gift idea for nature lovers. I love the emerald colour of this watch! I got one for my husband and he loves it!